My original Brussels sprouts recipe was my very first Katrina’s Kitchen foodie blog original recipe, and it posted in December 2013. It’s been a staple in my real kitchen ever since. So much time has passed, and I thought it was time to add a new sprouts recipe on two conditions- it needs to be simple and delicious, and it must pass the Husband Test. 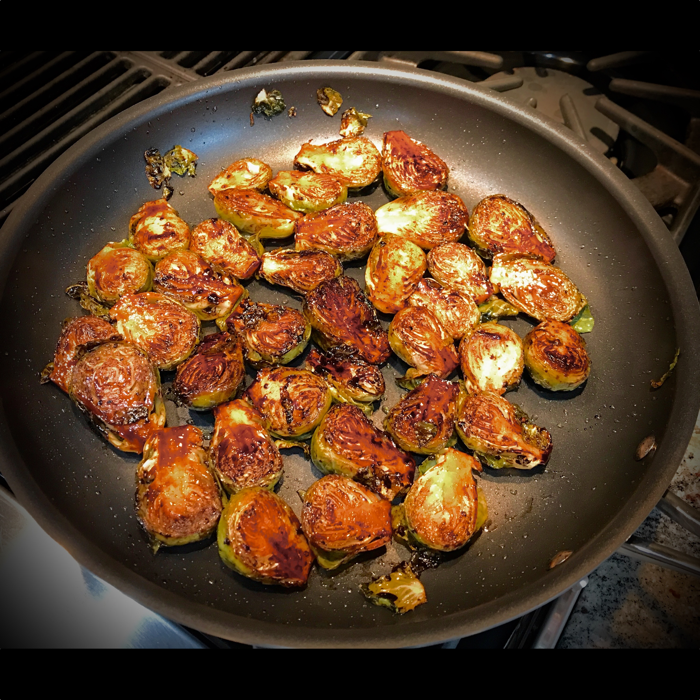 Since my Hubby never liked Brussels Sprouts before I starting cooking them for him it is the ultimate stamp of approval that he loves this dish as much as the first Brussels Sprouts recipe. Preheat oven to 350. 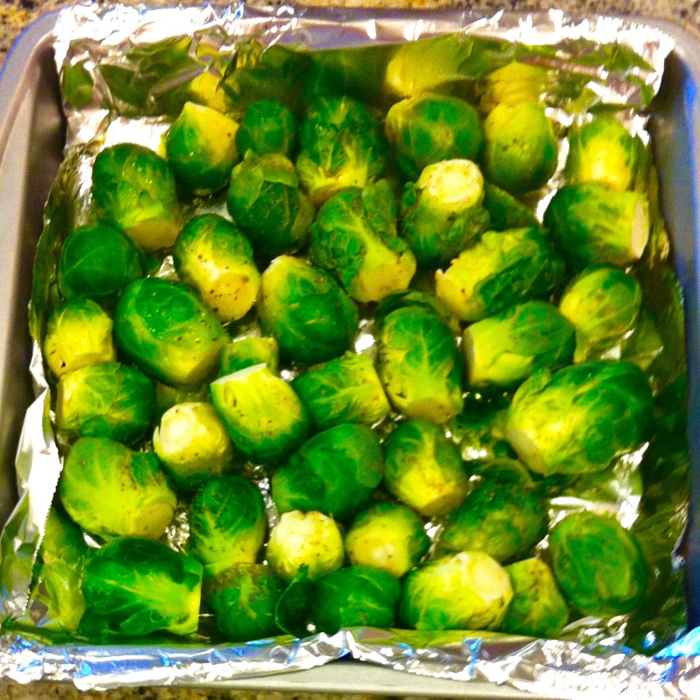 Wash and dry, then trim the bottoms off the Brussels sprouts. If they are medium to large Sprouts, slice them in half so they’ll cook a little faster. Place them on a cookie sheet and make sure they aren’t crowded. Allow enough space so they all come into contact with the bottom of the baking sheet. Drizzle with Olive oil and season with fresh cracked black pepper. Give the pan a little shake, cover with foil and place into the oven for 25 minutes. 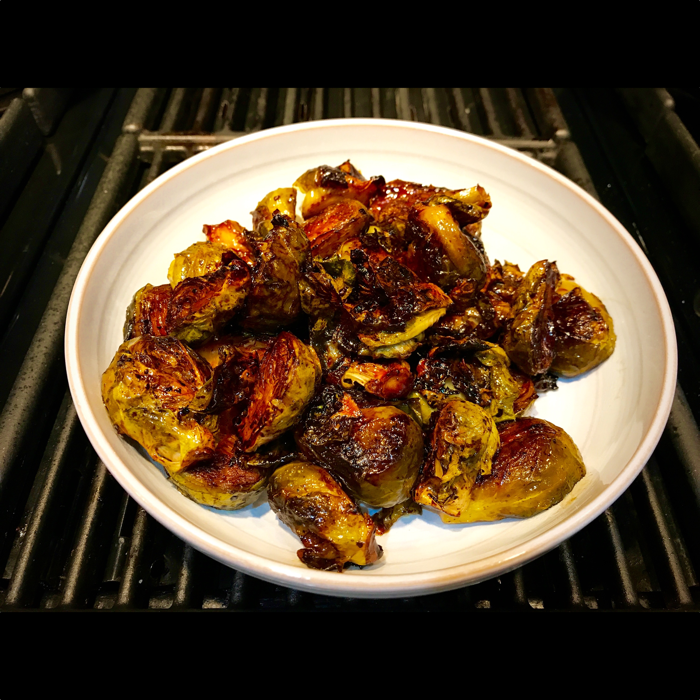 Next, take the baked Sprouts from the oven and put into a 10-12 inch frying pan, add three tablespoons of olive oil, two tablespoons of good balsamic vinegar and cook stovetop on medium low heat for about 20 minutes or until slightly charred. Cook covered on low with the lid slightly askew for another 15-20 minutes or until the Brussels sprouts can be easily pressed with a fork. Stir along the way. I use Gourmet Blends Original Balsamic in this dish and I highly recommend you give it a try or get your hands on a bottle of good balsamic. Once you do there’s no going back.